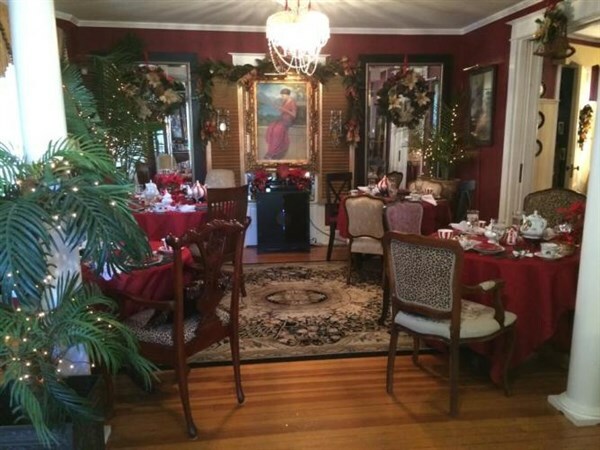 Come join Gunther Tours today in the capital city of Dover, Delaware, for a yuletide Christmas Tea Luncheon at one of Dovers Painted Ladies. A Painted Lady refers to a house from the late 19th or early 20th century whose exterior is decorated with three or more colors of paint highlighting its ornate architectural features. Relax and enjoy the company of old and new friends or family amidst a splendid array of holiday decorations and festive atmosphere while savoring an elegant Christmas Tea served in grand style in a marvelous century-old Victorian home. Todays menu will include a choice of 3 teas, scones with lemon curd and Devonshire cream, 3 sandwiches, 2 savories and 3 desserts. Following our tea luncheon, we make the short trip to Smyrna, Delaware to visit Ronnys Garden World. To celebrate the wonder of holiday season, Ronnys Garden World is transformed into Ronnys Christmas Wonderland. Its a dazzling display of holiday cheer where you will find dozens of yuletide trees covered with ornaments, wreaths, swags and much, much more all on display for you to see! If you are in the mood to leisurely browse or shop, you will find a large selection of gift items, Christmas trees, ornaments, nativity sets, lights, garlands, tree toppers, nutcrackers, indoors and outdoors holiday decoration and much more for sale! Want a traditional tree, garlands and blown glass ornaments or a whimsical themed tree with elves, sunflowers and bumblebees, or all sports stuff? Ronnys Christmas Wonderland has it all! Note: This day trip has a maximum group size of 29 passengers! Happy Holidays! 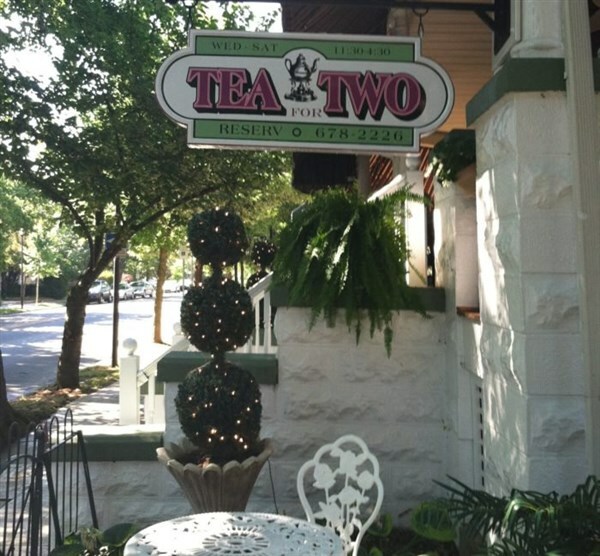 Come join Gunther Tours today in the capital city of Dover, Delaware, for a yuletide Christmas Tea Luncheon at one of Dover's "Painted Ladies". A "Painted Lady" refers to a house from the late 19th or early 20th century whose exterior is decorated with three or more colors of paint highlighting its ornate architectural features. Relax and enjoy the company of old and new friends or family amidst a splendid array of holiday decorations and festive atmosphere while savoring an elegant Christmas Tea served in grand style in a marvelous century-old Victorian home. Today's menu will include a choice of 3 teas, scones with lemon curd and Devonshire cream, 3 sandwiches, 2 savories and 3 desserts. Following our tea luncheon, we make the short trip to Smyrna, Delaware to visit Ronny's Garden World. To celebrate the wonder of holiday season, Ronny's Garden World is transformed into Ronny's Christmas Wonderland. It's a dazzling display of holiday cheer where you will find dozens of yuletide trees covered with ornaments, wreaths, swags and much, much more all on display for you to see! If you are in the mood to leisurely browse or shop, you will find a large selection of gift items, Christmas trees, ornaments, nativity sets, lights, garlands, tree toppers, nutcrackers, indoors and outdoors holiday decoration and much more for sale! Want a traditional tree, garlands and blown glass ornaments or a whimsical themed tree with elves, sunflowers and bumblebees, or all sports stuff? Ronny's Christmas Wonderland has it all! 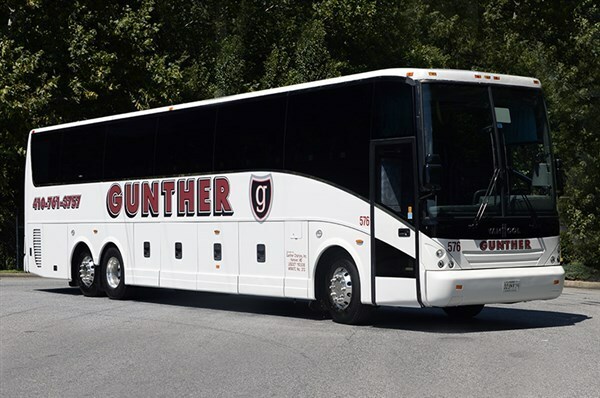 Note: This day trip has a maximum group size of 29 passengers! Happy Holidays!